In addition to providing farm fresh milk for the 25% of us who suffer from Post-Dairy Digestive Discomfort, the a2 Milk Company™ is now offering you an opportunity to try a2 Milk® for free AND enter to win a trip to Australia! Sweet! The receipt-redemption offer and Australian vacation contest are live now - click here for more details. 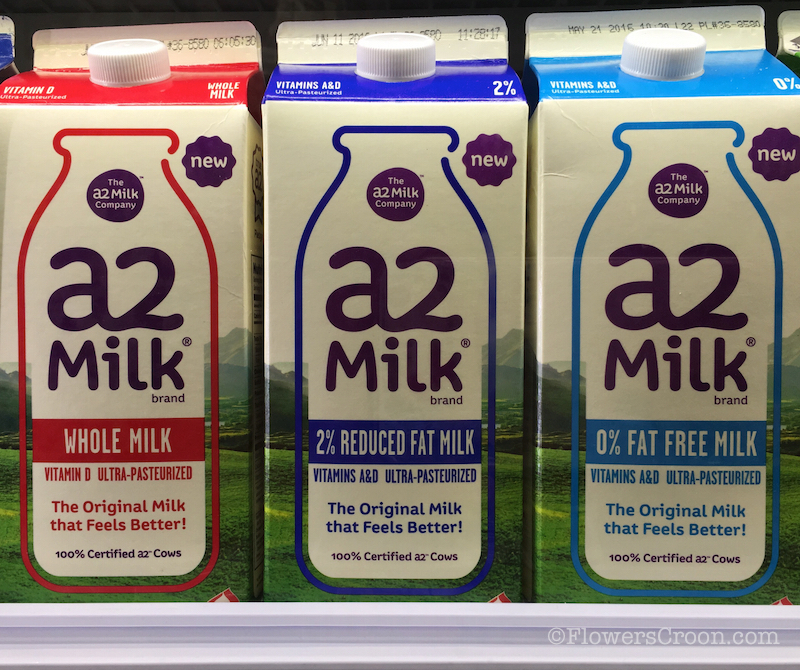 What is a2 Milk®? It's the milk that has freed us from stomach discomfort since I became an a2 Milk® Ambassador over 2 months ago! How? It's easy to understand because it's natural - let me explain. Every regular and organic container of milk in your grocery store contains milk made from cows that contain the A1 protein. It's the naughty A1 protein that causes post-dairy digestive discomfort in 1 out 4 of Americans. On the other hand, the a2 Milk Company™ provides milk that comes from specially selected cows that naturally produce milk free from the pesky A1 protein - ‘the way mother nature intended’. What makes a2 Milk® so special are the farmers and cows behind the milk. The a2 Milk Company™ thoughtfully works with family farmers to identify the cows in their herds that naturally produce milk containing only the pure A2 protein type, then they are certified. The delicious milk is also free from growth hormones, rBST and antibiotics. Additionally the milk has no artificial ingredients or additives. We have been enjoying a2 Milk® on a regular basis with cereal, oatmeal, snacks, coffee and in fresh smoothies. It's refreshing to know that we can now enjoy milk without thinking we'll be punished for it later with belly discomfort. That's the way it used to be, but that is definitely behind us! I can't think of anything better than a nice, tall glass of ice cold milk with a peanut butter and jelly sandwich as a nighttime treat just before bed. Yum! That's my go-to snack. One of the coolest things about being an a2 Milk® Ambassador is seeing a2 Milk® containers pop-up in several local retailers. As the word about a2 Milk® continues to spread, so does the distribution. I buy mine from our local Whole Foods store, but there are several other stores carrying it. Check out the store locator to find a retailer near you. Once you've found the store near you, drop in and buy a2 Milk® and visit the contest website to win a trip to Australia and learn about the receipt-redemption offer. You can also lean more about the a2 Milk Company™ on their Facebook and Twitter pages. Enjoy your new favorite milk and good luck with the contest!